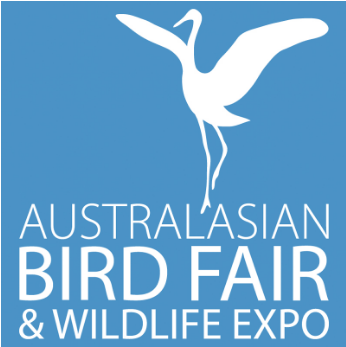 The 2017 Australasian Bird Fair & Wildlife Expo will be held at the Newington Amory, Sydney Olympic Park, right in front of the BirdLife Southern NSW Discovery Centre on 3-5 November. More than just a Bird Fair – a Wildlife Expo! -Talks about birds and wildlife by experts with first-hand field knowledge, from across Australia and the globe (programme of talks available soon). -Photographic competition and exhibition, prizes include a pair of Swarovski EL 8×32 Binoculars RRP $2590 for the overall winner! -Free activities for the whole family, including a children’s activities marquee and guided bird walks. -A complete range of optical equipment to suit any budget with experts on hand to provide advice and a hands-on experience. -Bring the whole family and enjoy a picnic at the Bird Fair and Wildlife Expo! Food outlets at the event will include several delicious food options catering for all tastes, details to be announced, or bring your own lunch. -Free shuttle buses between the P5 car park, the front gate drop-off and to birding venues.